I was really hoping that with the release of Lady Gaga's "Born This Way" video, I would subsequently fall head over heels in love the with the song. Not so much. After watching the 7:00 minute + long video, just as before, I'm left kind of, for lack of a better word, "WHELMED." Don't get me wrong, there are definitely some stunning visuals in the Nick Knight-directed video, not to mention some amazing choreography by Laurieann Gibson but I can't help but come out of the whole thing a little bit unsettled. Gaga's always been quite the provocateur and all (i.e. "Paparazzi") but I wasn't really prepared to witness her giving birth in a video. Obviously Gaga's not REALLY giving birth but that's what it's meant to look like, continuing on with the whole "POD/Egg" theme started during Gaga's entrance and subsequent Grammy appearance. Unicorns, an overarching Good vs. Evil theme, Michael Jackson "Thriller" zombies, eyeballs on chins - the video has it's moments but I wasn't really all that blown away when it comes down to it. I think what it comes down to for me is that I still just don't really care for the song all that much. The video is definitely complements the song but if the song isn't impressing me, then it would make sense that the video fails in that same regard, right? I look forward to seeing the SECOND music video, done to an acoustic version of the song, coming out soon with proceeds benefiting anti-bullying organizations. 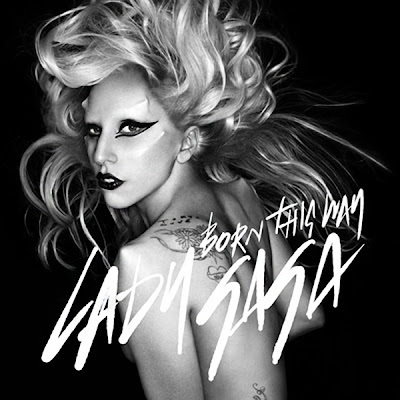 When "Born This Way" was released worldwide, it proceeded to go #1 in 12 countries, including the United States, where it went on to become the 1000th number-one song to chart on the Billboard Hot 100 and only the nineteenth to debut at number-one. Following "Just Dance" and "Poker Face," "Born This Way" becomes Gaga's third number one single. Taken from Gaga's sophomore album of the same name, due May 23rd on Interscope Records, "Born This Way" was produced by Fernando Garibay, DJ White Shadow and Gaga herself. It is available to download on iTunes HERE. Check out the video below and let me know what you think. Before British singer/songwriter Eliza Doolittle releases her debut U.S. album on March 22nd, she'll be releasing her fourth UK single, "Mr. Medicine" on March 20th. The easy breezy song is easily one of the standout tracks on Eliza's debut and the super cute video only makes it more enjoyable. The concept of the video is fairly simple, showing Doolittle leaving a bar, followed by a cast of truly bizarre characters including some furry monsters, a bear, the Gingerbread Man and a few others. Doolittle, for the most part seems un-phased by her little furry fan club, casting the occasional backwards glance and rolling her eyes. "Mr. Medicine" is the fifth single, following the re-release of Doolittle's debut single, "Skinny Genes." The song was co-written by Eliza, John Beck and Steven Chrisanthou, who also produced the track. Taken from Doolittle's self-titled debut album which went on to peak at #3 on the UK Albums Chart, "Mr. Medicine" is due out on Parlophone March 20th. It's tough to say how well the single will do in the UK as Doolittle's singles have charted all over the place. Doolittle's most successful single, "Pack Up" was a Top 5 Hit while follow up single "Rollerblades" nearly missed the Top 60. Her December re-release of "Skinny Genes" saw Doolittle return to the Top Ten of the UK Singles Chart, peaking at #8. Eliza is set to dazzle American audiences with her sweet vocal stylings later this month when she releases her album on Capitol Records, March 22nd. In addition, Doolittle will be supporting her release with 2 major festival dates including 2 showcases at this years' SXSW (March 15th - March 20) followed by an appearence at Coachella on April 17th. Hopefully this will be followed by a more extensive U.S. tour? A boy can only hope. Download Doolittle's EP on iTunes HERE and check out the "Mr. Medicine" video below. SIGH. Another reason I'm sad to be missing Lady Gaga's tour? The fact that Scissor Sisters are opening. Man. What a show! The tour, which started on February 19th in Atlantic City, New Jersey wraps up on March 31st in Anaheim, CA. In addition to the 24 dates with Gaga, the Scissor Sisters will be playing a select few headlining dates, the next one being on March 7th in Washington D.C. Check out a full list of tour dates below. To celebrate the tour, Scissor Sisters are giving away 5 tracks for free including "Any Which Way" and "Invisible Light," both taken from Night Work, the Scissor Sisters' most recent album. The album debuted at #1 on Billboard's Top Independent Albums Chart as well as just inside the Top 20 on the Billboard 200, becoming the band's highest U.S. chart position to date. Watch the clean version of the band's latest video, "Invisible Light" below. Get your 5 free download's HERE. March 29//San Diego, CA//Viejas Arena/San Diego State Univ. Kimberley Locke fans can rejoice! There's new music on the way. Kimberley took the time to update fans on what's going on in her career, releasing a couple of videos on MySpace. In one of the videos Locke sheds some light on the writing process, filming part of a writing session with songwriter/guitarist Russell Ali (Elliott Yamin) and songwriter/producer Josh Skinner (Sara Lumholdt of A*Teens). Locke apparently recorded three songs during the session, and while we can't hear any of the music, we may not have to wait long, at least not according to Locke's most recent blog post. Kimberley Locke's last release was the 2010 dance single, "Strobelight" which went on to peak at #5 on the Billboard Hot Dance Club chart. Signed to Randy Jackson's Dream Merchant 21 Records (after parting ways with Curb in 2009) Locke originally planned on releasing singles with no new album planned, although with this most recent update, perhaps Locke has had a change of heart? I'd love to see Locke release a new album. Her last album of original material was the 2007 Based On A True Story, which peaked out at #160 on the Billboard 200 chart. To date, Locke has yet to match the mainstream success that her debut album, One Love saw back in 2004. Aided by a successful first single, "8th World Wonder" (Locke's only song to chart on the Billboard Hot 100) the album peaked at #16 on the Billboard 200. In more recent years, Locke's become quite adept at making dance music, releasing three #1 singles Dance singles ("Change," "Band of Gold," and "Fall"). While "Strobelight" didn't make it to #1, it did land within the Top 5 which is not to shabby at all. No word yet on what kind of sound we can expect on Locke's newly recorded material but I'm hoping for some more dance/R&B tunes or at the very least something with dance remixes. Given her past Hot Dance Club Play chart success I'm sure that's almost guaranteed. Check out this video of Locke in the studio and make sure you download "Strobelight" on iTunes HERE. Check out the video for the new Fallon & Felisha single, "Infected." If you'll recall, I originally mentioned these Twins last October in my post about their debut single, "Lights Out." The girls were originally part of the R&B group, Cherish but branched out in a more dance-infused direction for their first single as a duo. Now, with the release of "Infected" the girls sort of go back to their R&B roots while maintaining a little bit of that electropop sound just to keep things fresh. "Infected" is a pretty solid track, very reminiscent of something you might find on Brandy's Human album (listen to "Right Here (Departed)" although I'm just left wondering what happened to the dance vibe that made their last single such a departure from Cherish? With "Lights Out" failing to make any impact on the dance charts are F + F switching gears and going back to R&B? Perhaps their debut album will be a bit of both styles? Whatever happens, I'm excited to hear what's next for the girls. Check out the EXTREMELY low budget video for "Infected" below and get the single on iTunes HERE. If you don't live in Canada then you probably haven't heard of teen singing sensation Brock Zanrosso. This talented guy has been singing forever but really rose to national attention when he appeared as a finalist on the Canadian reality competition "Next Star" on YTV. Last year Zanrosso released his first two singles, "Push The Walls" and "Edge (End Of The World)" which started getting airplay in his native Canada almost immediately. Working with Hipjoint Productions (Kreesha Turner, Kelly Rowland) on both tracks, Zanrosso began to develop his sound as an artist, opting to go in a more pop/R&B direction a la American singing heartthrob Jesse McCartney. With the release of Zanrosso's third single, "Perfect Storm," (ABOVE) the 16 year old Canadian looks to make a name for himself notoriously cruel U.S. pop market. The song (which is already heating up the Canadian Billboard Emerging Artists Charts) is a fun, pulsating electropop track complete with a catchy hook, really showcasing Zanrosso's impressive vocal stylings. As catchy and fun as Zanrosso's U.S. debut single is I really don't know if it has what it takes to do well here in the States, given how many similar artists there are on the radio right now. I can definitely see where the Adam Lambert, and David Archuleta comparisons come into play, but seeing that Archuleta was just dropped from his label, I don't know if that's a good thing. Let's hope he has more Adam Lambert-type success. That being said, I really wish for nothing but the best for this talented newcomer. He's definitely got what it takes to go far. Download "Perfect Storm" on iTunes HERE and watch the video for "Push The Walls" below. Expect Zanrosso's debut album sometime this year.